Every year I look back on all the films I saw and try to rank them as best I can. I watched over 100 theatrical movies so it can be a daunting task. Reviews are written shortly after having seen the film but the decision to rank everything I saw happens much later. This is an emotional decision influenced both by how I felt about the film at the time but also how it fits in now with everything else I saw. Star ratings are a guide but they don’t tell the whole story. The written review is always a better indication of how I felt. With that said, here are 10 films I really enjoyed in 2015 followed by 10 more honorable mentions. 2015 was a great year, although I seem to say that every year. At the heart of Brooklyn is Eilis Lacey, a young Irish immigrant played by Saoirse Ronan. It has been said that eyes are the window to the soul. Director John Crowley utilizes this to his advantage. Sometimes the camera simply lingers on Saoirse’s expressive face. Her countenance speaks volumes, but there’s also a sophistication just in the way she carries herself. She recalls classic Hollywood with her hypnotic presence. What makes Brooklyn so affecting is the fully realized portrait of American life, as seen through her eyes. The entire composition is rather profound. Directed by Lenny Abrahamson – Starring Brie Larson, Jacob Tremblay, Joan Allen, William H. Macy. This is a meditation on love, to ponder how a parent takes the best of a bad situation and makes it presentable for their child. Rather than exploit the experience for the obvious emotional pain, she celebrates their close relationship. Author Emma Donoghue has found a unique way to detail the tender bond between a mother and her son. Room‘s exploration of love is so heartbreakingly original, it’s cathartic. Directed by Todd Haynes – Starring Cate Blanchett, Rooney Mara, Sarah Paulson, Kyle Chandler. 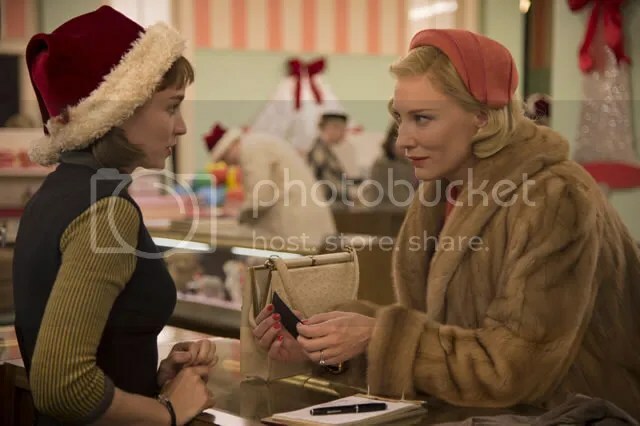 Carol is an exquisite drama that manages to capture a moment in time, not as it really was, but how we romanticize it to be. The polite nod, the gracious smile, the unspoken thought, all confirm a cultivated behavior that complements a rich visual tableau. Whether it be costumes so luxe, you can almost feel the fabric’s texture or a set design so vibrant, you believe you could step right into the frame, the display is presented with such incredible detail the screen positively bursts with the spirit of the age. Directed by Joel Edgerton – Starring Jason Bateman, Rebecca Hall, Joel Edgerton, Tim Griffin. What energizes the story is how Joel Edgerton’s screenplay extracts tension from the unknown. That queasy feeling you get when things are a bit off kilter but you’re not really quite sure why. The drama allows the audience to simmer for awhile in this sinister stew. I didn’t realize how much I enjoy being on edge. By the shocking climax, The Gift pushes you to the absolute brink. Directed by Alfonso Gomez-Rejon – Starring Thomas Mann, Olivia Cooke, RJ Cyler, Nick Offerman. There’s no faster shortcut to give a narrative weight than death. The construct threatens shameless sentimentality but the way this drama unfolds, it never succumbs to that. The story slowly works its way into your heart to become a delightful charmer. Greg and Rachel are essentially forced to be together, neither particularly wanting the other’s company. It’s their accidental relationship that forms the heart of the picture. Directed by Pete Docter – Starring Amy Poehler, Phyllis Smith, Bill Hader, Lewis Black. Every emotion is the key to a well adjusted human being. 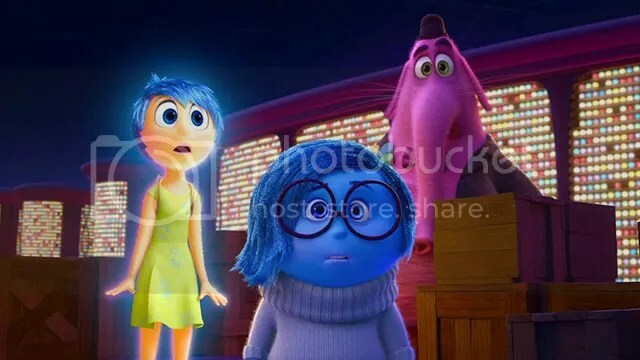 Pixar staddles the line between presenting it all as something a young child can comprehend but allowing just enough depth to captivate the adults in the audience. It’s still pretty straightforward, but there’s beauty in simplifying a complicated subject. Inside Out makes it all seem effortless. 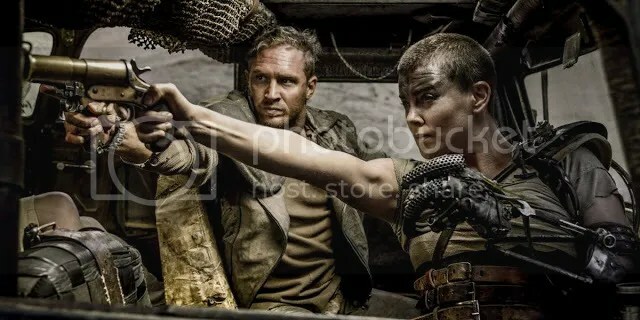 Directed by George Miller – Starring Tom Hardy, Charlize Theron, Nicholas Hoult, Hugh Keays-Byrne. Plotwise it’s a race to there and back again. But it’s Colin Gibson’s production design, John Seale’s cinematography, Junkie XL’s immersive score, and Jenny Beavan’s costumes that define this movie. The look is absolutely bonkers. It’s a testament to the visual and aural overload that it propels an adult like me into giddy exuberance. Mad Max: Fury Road is an all out pedal to the metal, full throttle chase with nothing held back. 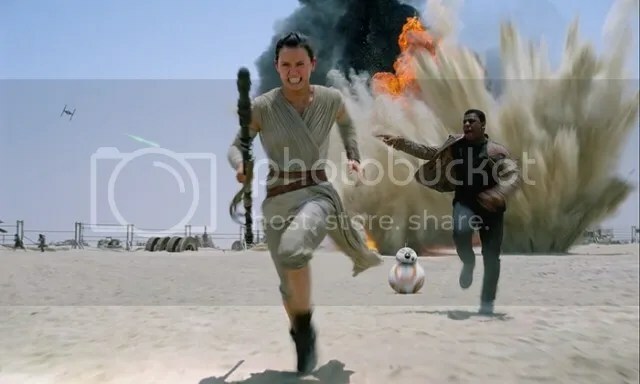 Directed by J. J. Abrams – Starring Adam Driver, Daisy Ridley, John Boyega, Oscar Isaac. The unveiling of a recognizable broken down old spacecraft shouldn’t bring tears to an adult man, but I’m embarrassed to admit it does. The recognition is what sells the picture. This is satisfying nostalgia pure and simple. Sure wrapping up a present in a bright shiny package with a big red bow isn’t innovative, but gosh darn it, it sure is appealing, and that’s exactly what I love about this film. Directed by Sean S. Baker – Starring Kitana Kiki Rodriguez, Mya Taylor, Karren Karagulian, Mickey O’Hagan. Tangerine pulses with the unique voice of independent film. The narrative beats with a vitality rarely seen in contemporary cinema. It’s vibrant and funny and yes at times pretty bleak. The humorous touch sometimes undone by the grim truth in the ongoing predicament of the two protagonists. One minute we’re laughing at an amusing aside, the next we’re slapped into harsh reality by dead seriousness. The humanity on display is pretty heartbreaking. Tangerine encapsulates the atmosphere of LA 2015 and distills this into a poignant chronicle for the present generation. Tangerine is the quintessential LA movie for the modern era. Directed by David O. Russell – Starring Jennifer Lawrence, Robert De Niro, Edgar Ramirez, Diane Ladd. What David O. Russell has done with the saga of Joy Mangano is a visionary appropriation of the facts. The director has creatively imagined Joy Mangano’s memoir as a modern day fairy tale. But Joy isn’t some woman waiting for her prince charming . She improves the very mire of her own existence with her entrepreneurial enthusiasm. The chronicle demands that we reconsider how inspirational fantasies from the likes of the Brothers Grimm, are still happening today. The hard working resolve of a single mother with a dream manifested as a glorious paean to female empowerment. I chose what I see so I usually avoid movies I think I’ll hate. However I still manage to see some pretty dreadful films. That can be anything from an offensive “comedy” where I never laughed to a pompous arthouse film with nothing interesting to say. I should note that Welcome to Me was too minor to even earn a review. I just linked that title to its IMDb page. My focus is really the best of the year. The worst is just an addendum I put at the end because I know people are curious. Thanks for all your comments. Appreciate your thoughts as always. You have some here in my list as well! Glad that you liked Tangerine:) Really great list. I’m quite spoiled for choice because 2015 has so many great movies. Currently contemplating the final slots to my top 10! Are you from Singapore? I love that my little blog reaches readers internationally. As you might expect, most come from the U.S., but the UK and Canada aren’t far behind. India and Austraila are well represented too. Thanks for putting Singapore on the map (so to speak) and thank you for reading! Nice list Mark. Though I must confess…I kinda enjoyed Daddy’s Home! 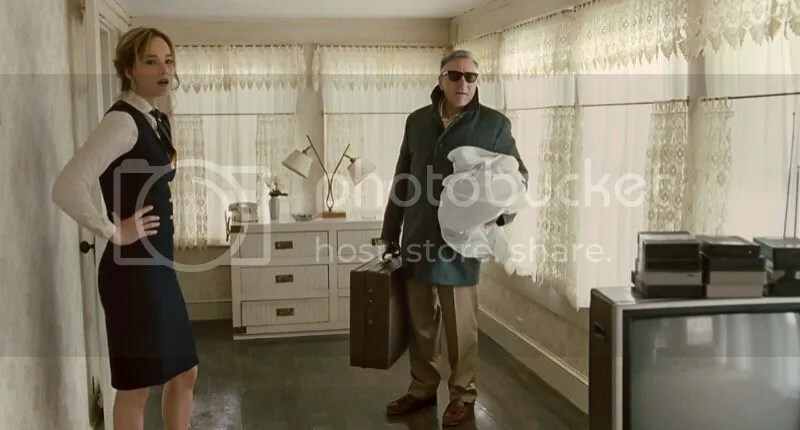 I know it’s kind of his thing to be an ineffectual fool, but Will Ferrell was emasculated to such a degree in Daddy’s Home that it became hard to watch. If we’re counting US releases as well, I’d somehow have to make room for Creed, Spotlight, and Room, which are all 5 star films in my book. Great list. I love that The Gift made your Top 10. Though well reviewed, I don’t see it on many year end lists. Whiplash was spectacular. It made my 2014 list. That’s a great list. I love that “The Gift” , “Star Wars” and “Tangerine” made your list. I remember when The Gift came out, the reviews were extremely positive, but its discussion seems to have mostly vanished from year end Top 10s. Mad Max, Spotlight and Carol are the titles getting the most accolades. Our lists might differ quite vastly..but I gotta give kudos to all your reviews this past year..as whether I liked or didn’t like the same movies, I always enjoy reading your reviews!!! 😀 Happy 2016 Mark!! I really do appreciate that, Peggy and I completely agree. It doesn’t really matter whether we come to the same conclusion on a movie. If the review is smartly written and/or fun to read, then I enjoy the discussion. Coming to the same conclusion is less important. Of course critics prefer to see eye to eye I suppose, but it’s the differences in our opinions that make each one of us unique in this big wide blogging world. Enjoyed your blog as well in 2015. Here’s to an even better 2016! Cheers!! Hey Mark! No idea how I missed this earlier. I love seeing Brooklyn at the top. Most seem to like it but I think it is often undervalued. People are right, it certainly is a sweet classic-style movie. But I really responded to its story of a young woman’s liberation – her taking the reins of her own life. Such a beautiful movie. As for worst, toss in the atrocious Mortdecai, The Ridiculous Six, and Fantastic Four. But thankfully the good outweighed the bad in 2015. I was happy to see it get 3 Oscar nominations including Best Picture. Not that I need the validation but it’s nice to see it get the recognition it deserves. You’re right, especially since that isn’t always the case. It’s pretty refreshing to see Oscar actually go for smaller high-quality films. Oh man – I’ve not even seen your top five! Or Tangerine or Joy!! I have some catching up to do. 😉 Room is the one I most want to see – that’s only just come out here in the UK so I’m hoping to catch it. P.S. There seems to be some lag between release dates in the US and the UK. Whiplash and Big hero 6 came out in 2014 here. They even competed in last year’s Oscars. Yes the Marvel films are often released in Europe 1 week before they’re released in the U.S. The U.S. is a tough market and those films tend to do better abroad. I believe it’s to build up word of mouth. Thor: The Dark World (2013) is a perfect example. It did almost 70% of its entire business overseas. Awesome list! I’ll be taking some of these as good recommendations! Brooklyn is a tremendous film and one of my favorites from 2015. Happy to see that it placed so highly on your list. Wasn’t a huge fan of Room or Carol, but at least I appreciated Carol on a technical level. LOVE that The Gift made it so high on your list. What a fantastic directorial debut from Joel Edgerton! Still haven’t seen Joy, Tangerine, or Me and Early, although I really enjoyed Inside Out, Fury Road, and The Force Awakens too. Even though I missed most items on your “Worst Of” list, I did catch Youth, and I also feel like it would rank high on my Worst of 2015 list. Haha. 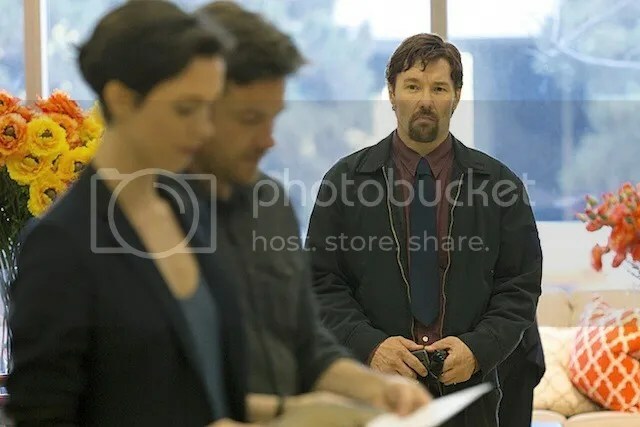 The Gift got great reviews when it was released, but when it came time for the critics’ Top 10 lists at the end of the year, it was largely absent. One of my favorites (obviously). Glad you thought so too. In contrast Youth must have been more polarizing because its critical acclaim was less widespread than The Gift, yet it found its way on a lot more year end Top 10 lists. There was even talk of some acting nominations for Caine and Fonda. Their work in this isn’t even close to being their best. Thankfully it only received one nomination, for Best Song, which it has very little chance of winning I feel. am looking forward to seeing Brooklyn. stories about immigrants are always interesting. as for Me and Earl and the Dying Girl, am still deciding on whether to see it, because i’ve already seen several great movies about similar predicaments (intimate friendships involving medical conditions) like 50/50 and Shadowlands. am not surprised with Star Wars and Mad Max but i had forgotten about the Gift which was really good. I’ve already seen several great movies about World War II (over 50 and counting actually) but I still went to see Son of Saul. So glad I did.